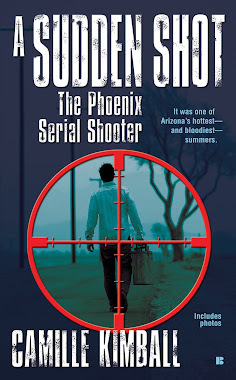 Paul Patrick passed last night at the age of 58 after 12 long years of grappling with the shotgun pellets left in him by serial killer Sam Dieteman, who fired the gun, and Dale Hausner who orchestrated all of the killings and maimings. Paul was shot from out of the darkness, randomly, on the night of June 8, 2006. He did not know why. I think he spent the last 12 years trying to find the answer to that question. In his search for meaning, Paul found his "beautiful duty," as he called it--to be the face of the victims. And he succeeded. On the day of his passing, I asked juror Sherry Carter what Paul had meant to her during the very long trial. Her answer: "Justice. It made us [jurors] feel, 'Let's make this wrong right." That is just what Paul wanted and what gave his life purpose through such pain and loss as is difficult to imagine. Over the years he appeared on many TV shows that are shown throughout the world, trying to show people that victims of violence are not anonymous and forgettable but definite, unique, and powerful. Paul's catastrophe upended the lives of his family. He could not have survived without their dedicated support which they so freely gave. They took him for an Oreo milkshake, his favorite, on Thursday evening. He had a blast. Hours later, he lost consciousness and the vigil was on. With him through the last days of his life were his daughter Chrystal, brother Ken, sisters Ruth and Colleen, and his young nephew, Trevor. The family was joined by the singular hero Saul Guerrero, who gave them those 12 extra years by saving Paul on the night of June 8, 2006. Paul spent his final weekend surrounded by love. Ken, weeping, told me "He's free." But they are now for mourning for themselves because they will "miss him so much." And if you ever met Paul in person or got to know him through the pages of A Sudden Shot or through watching him on TV, you will know how vivid of a person he was. He was wittier, I guarantee, than anyone else you've ever met. And he had more grit. I'm a bit weepy myself now so I'll close. If you have a bit of change in your pocket, the Patrick family has done nothing but sacrifice for 12 grueling years. You can ease their burden here. It's the official account. The family is having private time right now. They've asked you to contact me instead. His life changed on June 8, 2006. He liked to sign the books with that date scrawled next to his name. He was using the one barely functioning hand he could still control to do those autographs. It meant a lot to Paul Patrick to feel your support, to have his story told, to know that people could see what he and other victims of serial killers Dale Hausner and Sam Dieteman were going through. He inspired so many of us. Those of us who got to know him personally and those who read his story. Now it's time for us to say our farewells to this remarkable and inimitable man. Paul Patrick's family is in vigil now as he is not expected to be with us for more than a few more days. Paul's life as a wage earner came to an end on 6-8-06, the way he signed it, while expenses went through the roof. Serial killers don't pay restitution. The cost of their depraved actions is astronomical. For those who would like to help out the family that has heroically rallied around Paul for these grueling years, here is the official Go Fund Me account. They have never asked for help before. If you spent 8 dollars on the book or saw him for free on TV, I hope you can put in $5 or $10 now. That photo, btw, was taken at the book launch of A SUDDEN SHOT. Paul had surprised me by bringing me those roses for me. I was flabbergasted. He could not have done it by himself. His extremely loving and dedicated family had to have helped him acquire those roses. Believe me when I tell you they are the sweetest, kindest people in the world and I will never get over how this horrible thing happened to them. If you can, please ease their burden a bit now. I hope you all remember Paul at his best: The brightest eyes, the wittiest mind, the most devilish smile, and the strongest heart. The debate about whether Prosecutor Juan Martinez is an Avenging Angel bringing sweet relief to the crying souls of murder victims or a Demon doing the devil's work of browbeating innocent-ish defendants and their sainted legal teams into broken submission has busted out anew with the publication of a new newspaper article. The article is a long-form piece, so refreshing to find in these days of click-bait Air-Puffed News Crunchies. Arizona Republic reporter Michael Kiefer worked on it for several months, researching and analyzing data on the incidence of allegations of misconduct against prosecutors in Arizona's death penalty cases for roughly the last ten years. If you are coming to this blog from outside Arizona, and most of you do, Kiefer's work (it's actually a week-long series) will still be relevant to you because it gives insight into American courts in general and also highlights several cases that have captured the nation's attention at various times. 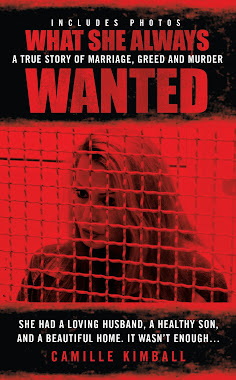 Most famously and most recently, the series highlights the case of Jodi Arias. Visitors to this blog tend to be, ahem, very interested in that case. The third article in Kiefer's series is devoted entirely to allegations of misconduct against Jodi Arias prosecutor Juan Martinez. Juan Martinez is a polarizing figure. No question about it. He has a unique charisma in the courtroom that attracts adoring fans to his quietly burning fire and bionic-man efficiency or repels others to the core with his lightning strikes of sarcasm and take-no-prisoners advocacy where his five foot four frame seems to loom menacingly huge like a shadow in the most frightening Gothic film. This summer I was a guest of the Arizona Public Defender Association, on a panel speaking to a ballroom full of lawyers. When the name Juan Marinez came up, the collective growl of 500 defense attorneys was palpable, audible, and almost feral. In the prosecutorial misconduct article, Michael Kiefer shows us the Gothic version of Martinez, a prosecutor who seems to flit in and out of the halls of justice with the eternal indemnity of a vampire and the same morals. Michael Kiefer himself has picked up some angry detractors of his own. I count myself one of his friends and fans. He has always been a generous and valued colleague to me. We have often viewed the same event through different lenses and that makes no difference to my respect for him. It's beneficial that we can look at the same elephant with him focusing on the trunk and me fixated on the size. So here are a couple of my casual observations about his article on the sins of Juan Martinez. ...and described it to her as a "picture of you and your 'dumb' sister." As I recall the courtroom action, Martinez was not in that moment himself insulting defendant Jodi Arias's sister. He was quoting Arias herself, as entered into evidence. He was showing the photo of the two sisters together possibly to underscore the defendant's tendency to arrogance and duplicity by coupling it with Jodi's own remark about the younger Arias. 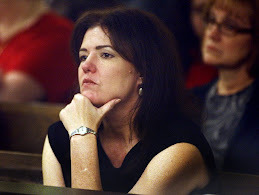 In the section about the Doug Grant case (click here for more on Doug Grant), in which a nutrition king was accused of murdering his wife, every-bit-as-famous-in-his-own-right defense attorney Mel McDonald is quoted as complaining that Martinez had objected to just about every question he had posed to a witness. This is, yes, a very annoying tactic when you are one of the observers in a courtroom. It is hardly, however, the singular sin of prosecutors in general nor of Juan Martinez in particular. Any courtroom observer has seen it done by both sides of the aisle. Some judges keep a tighter rein on it than others. I'm no expert, but I don't think it's defined in the rules of courtroom procedure as a sin, at all. It can't be, for as often as I've seen it done. The Republic article rightly lists the many pieces of evidence of drowning victim Faylene Grant's bizarre and cheerful obsession with her own death. I think I will use my own space here to also mention some of the other evidence such as that the origin of her obsession was subject to debate. Did Doug have some kind of Svengali-like hold over her, leading her to write about death for his own sinister purposes? One of Faylene's own kids testified to having been blocked from access to her mother that morning, breaking with the household's normal routine. And the strange idea that natural health expert Doug had of calling a buddy instead of 911 upon finding his wife in mortal distress and that of feeding her excessive doses of powerful drugs against advice. I shall leave the Doug Grant section with the notation that defense attorney McDonald himself considered the outcome of the case a victory for his client and well he should. From what we know about sexual serial killers, the necrophilia is highly likely and a reasonable assumption especially given other facts of the Cory Morris case. But, most of all, why on earth would medical evidence of abuse of a corpse be crucial to the outcome of this case? Abuse of a corpse is not a capital charge. Victory against Martinez on this charge would lead to...crickets chirping. It seems the fight for whether Morris actually murdered five women or not has been abandoned. Let's say appeal attorneys do win this battle. Cory Morris no longer can be considered guilty of necrophilia. He was never convicted of Abuse of a Corpse anyway. Morris is currently waiting on Death Row for five executions for five murders. The end. No sentences for any other crime. Just murder. My guess is the appeals team hopes it can taint the verdict by saying the jurors were unfairly influenced by the improper "disgust" factor. If so, I may have more faith in jurors than do Morris's lawyers. If we could send people to Death Row for disgusting conduct, epic child molester Jerry Sandusky from Penn State would be there right now. I believe jurors know that. I also believe the strangling of five human beings is monstrous enough and so does the law. Or perhaps their arguments have to do with the enhancements required to be found by a jury before a murder conviction can be considered for the death penalty. But committing 5 murders will get you over that hump so, again, crickets. And for more about how the law regards crimes against a dead person as opposed to a live one, see this post on Trent Benson. So those are some of my top of mind reactions to the prosecutorial misconduct article in the Republic. Your mileage may vary. The paper's series, by the way, opens with a highlight on retired prosecutor Noel Levy. He handled the Debra Milke case (click here for that case). I'll be doing more about it in the future. More details on Levy are available in my book, WHAT SHE ALWAYS WANTED about Marjorie Orbin. Please join the debate on the Republic's Gothic Juan Martinez in the comment section below. I would love to hear from you, the good, the bad, and the ugly.